The cultivation of strawberries is the most important one of the berries that are so popular in the recent times. Its high content in vitamin C and antioxidants makes its consumption continue to rise year after year. In recent years, strawberry crops have been technified to improve the quantity and quality of the productions obtained. The protected cultivation of strawberries in the greenhouse and on substrates like coconut fiber allows to get better control on the variables of the crop in terms of temperature, humidity and fertilization. 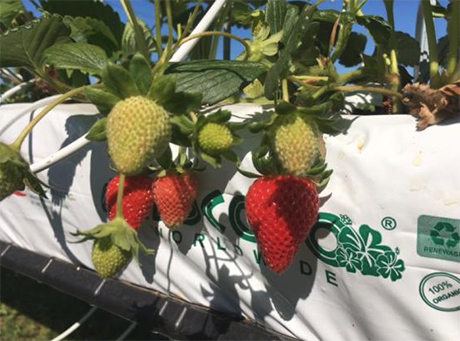 The root system of the strawberry plant is very sensitive to moisture excess, which is why when strawberries are grown in bags of substrate, it is very important that no water logging or water accumulation occurs. 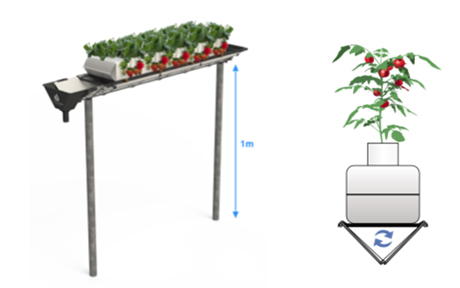 That is Hydroponic Systems designed a system to develop optimal cultivation of the strawberries: the Strawberry System. 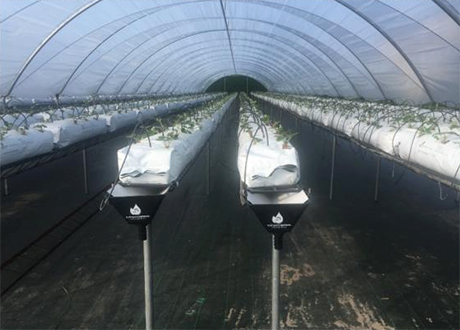 “Our Strawberry System is a complete drainage collection system that provides many advantages compared with other channel systems”, María Giménez with Hydroponic Systems explains. The system is formed by a metallic lattice channel covered internally by a 0.7 mm thick white polypropylene gutter, to collect the drainages. It has supports specially designed to give the channel an optimal height for the handwork that strawberry requires. 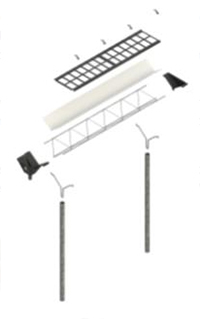 It has a lid at the end of the line that allows to collect efficiently all the drainage from irrigation.